one can learn a lot on true investing from above. kudos to those still remain +ive! the best return is +3.32 and the worst return is -22.73. 86.3% negative with 13.6% positive. 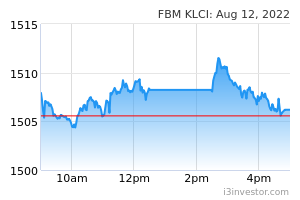 FBMKLCI YTD (Jan-Feb): -2.23%. So, only 13/72 (18%) managed to beat the benchmark index YTD. It is not easy for normal investors to consistently beat the market. There are plenty of research showing that most retailers will be better off buying passive index funds rather than trying to beat the market by themselves. If u think u can be that odd special one….then chose to invest w/o considering FA. If not....good luck. The results do confirm this fact - it's a VERY tough market right now. Anyway, thanks to the organiser of this very interesting competition. And especially to those who had participated. I really appreciate the people involved. VERY tough market right now, I agree. We must focus on FA. Many companies were not doing well last quarter. My experience over the past few months: it has been the structured warrants that have been more productive. Particularly FBMKLCI- C and H. But have to be quick and decisive with these in cutting loss and also taking profit. Ordinary shares have been very difficult. Many of the portfolio selections above aren't bad at all. But the volatility has been damaging. Even winners like export-oriented aren't safe anymore. With ordinary shares, I'd consider the downside risk first and foremost. And trying to catch an uptrend. Like with AirAsia. But must have strict discipline - if a counter slips past a technical support point, then sell and take the loss there and then. No waiting. But anyway, I'm being cautious at the moment. Using only one-third of the capital. Will wait until sentiment turns more positive. Watching the foreign investors' daily and weekly movements especially. We need their money to come before there's significant upward momentum. Thank you Tan KW and your fellow organisers. The results will certainly provide insights to investors that earning consistent good returns in the stock market is not an easy feat (or else most people will not be working and will be punting/investing in the stock market for a living). I do agree with Mat Cendana in certain areas such as monitoring foreign net flow (e.g. yesterday and today is positive) but as for structured warrants, I am not too sure. Of course, expert traders who got the direction or strategy right will be okay. Personally, I believe a majority (>60%) of investors/traders will lose money in structured warrants - going against other more savvy traders and also at the 'mercy' of market makers/issuers. Nobody like winners? Why take trouble to invest in stock market?